Halloween 2018. The end of an era. Well, perhaps Halloween 2017 was and I just didn’t know it. Last year was to be the last year my boy would go trick or treating. He didn’t want to go this year. These things happen: children grow up, stop doing childish things. It’s the first time in better than 2 decades there aren’t any children in our lives to trick or treat. It’s one of those double edged swords of being a parent, I guess. The job description is to be there and raise them to be independent and strong and self sufficient…and if you do your job right, it stings a little. Maybe sometimes more than sting. Stings for multiple reasons, really. Some of it is knowing they’re not little any more. Growing. No more Santa Claus. No more trick or treating. No more Easter bunny. I miss my kids as…well, kids. I miss the Christmas eves tracking Santa on NORAD Santa and getting excited seeing him get closer and racing home. The wonderment. All the firsts. They’re ten years apart; their childhoods intersected, but they were at different stages – always. I’ve had a trick or treater for the majority of my adult life. And that’s probably the bigger part of it. It’s about me. I’m at an inflection point in my own life. It’s one more indication that I’m getting older. These little people I’ve helped raise, and raise well I think, aren’t little any more. They’re their own people. And maybe they’ll always “need” me, but they don’t need me. My hair is thinning. There’s a few more aches and pains than there has been previously. I’m still solidly middle age – there’s time on the clock – but I wonder if I haven’t spent a good amount of the opportunity I once had. I wouldn’t notice so much if it weren’t for these kids, I’m sure of that. I have a hard time reckoning the passage of time anymore: Something happened 5 years ago, last year, I don’t know. It seems like they’re the only things that keep me anchored in time, and yet because of that I notice how much has passed and fail to distinguish when events have come to pass. I have an adult daughter. A college graduate no less. When did that happen? I’m thinking back to college visits and those were more than 5 years ago. More than 6 actually. Time is so ephemeral, so fleeting. And now, the boy is too old for trick or treating. He’s becoming an adult. My job is coming to a conclusion, yet not quite over. There’s still more to do, still time on the clock. I just don’t seem to know how modulate it’s passing. So perhaps it’s just the inflection point. The pivot to what the next stage of our lives will look like, setting that stage. In a few years, the boy will be moving on to his next step; the first he will perceive as being moving on in his life. At the same time, we’ll be moving on the our next stage, perhaps one of the last transitions. LIfe does move fast, in a way I never appreciated until just now. And so, as I wonder just how to end this, the boy comes downstairs to get a glass of water… My man-size child – now taller than me – wearing his Chewbacca union suit pajamas. So, maybe I’ve got a touch more time on the clock than I may have thought. 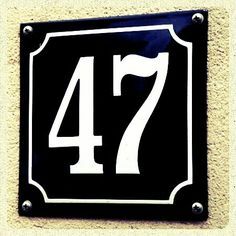 The number 47 is something called a “safe prime” number. Now, being a social science guy myself, I really can’t wrap my mind around the “safe prime” definition, other than to say it has something to do with other prime numbers – 2p+1 – and that its useful for cryptography. How? I cannot say. I’m just leaving it at “it’s a thing” and moving on. 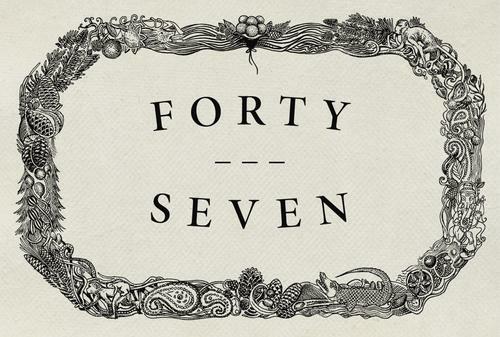 In some circles, it’s regarded as the quintessential random number – apparently when asked to pick a number at random, 47 is the most likely one picked. That’s a concept I can more readily accept, perhaps because it’s decidedly a social science study about people and less about the inherent value of the number itself. I took some calculated chances this past year and tried some things I wasn’t sure I could complete. I completed some, failed at others. I think I was a better friend this past year than I have been in the past, I hope I have been a better parent and partner. I try to be the best me I can, but I fail at that sometimes. New Mexico became the 47th state in January 1912, about 9 months before the Red Sox beat the New York Giants in the World Series. That’s relevant because ’47 brands designs some of my favorite Sox lids; Recently acquired starting pitcher Tyler Thornberg currently wears the typically un-baseball number 47 for the Sox. Alas, they’re not playing this time of year; The Patriots are, however, and little known rookie Jacob Hollister, a Tight End, wears 47 for the Pats. Over the last two decades, it has been a not uncommon feature of my birthday to get Patriots gear – 8 times since my birthday in 2002 I’ve gotten AFC Champion or Patriots Super Bowl gear. It’s mind boggling, and as a fan I love it. I know it’s not common and I cherish every time it happens because you never know when or if it will happen again. The Baltimore Ravens won Super Bowl XLVII (47) after having knocked off the Patriots in the AFC Championship game, which was a drag. We took a trip I never expected to take this past year – a week in Italy. It was an amazing experience, and I’m so thankful for having had the opportunity. A week in an ancient mountainside castle in Umbria with amazing views; we spent Easter Sunday in Assisi. We drove the Italian countryside, visited a vineyard and made our own Italian dinner. You never know when or if that will happen again; if it happens to be a once-in-a-lifetime trip for me, it will absolutely be one of my favorite memories. Umbria, Italy. As an aside, I also got my only international traffic violation while driving around the Coliseum on this trip. Apparently, 47 is the new “Middle Age.” Apparently, according to this article, I can be expected to live to about 86. While, that’s all well and good but that bit of information reminds me that I am on the clock…at least there would seem to be a little more time my clock. I’ve made it farther than Alexander Hamilton who died at 47 years, 183 days (showing you shouldn’t play with guns), Jack Kerouac at age 47 223 days from complications of cirrhosis (kind of not a shock, really) and Francis Gary Powers at 47 years, 349 days when his U2 spy plane was shot down. The difference between those guys and me, though, is that while I’ve outlived them in terms of how many days on the calendar I’ve been on the Earth, it’s hard to say I’ve “outlived” them in terms of how they lived. We still talk about these guys no less than 49 years after the last one passed away. I’m pretty sure no one will be talking about me. I still have some time to give back, but I am on the clock. Time to step it up. It’s also harder to keep what you’ve gained. I started exercising regularly at 45. I’m not likely to ever be the fastest runner out there, but I have gained speed, I have gained strength. Now, comes the hard part: keeping it. That’s part of what freaked me out when I was hurt a couple of times this past year – I was afraid I wouldn’t get it back. I found that it was a lot harder to get back than I expected. This last time I’ve found it’s more difficult than it had previously been to lose some of the excess weight I had packed on. I’m also pretty far behind saving for retirement. I can chalk that up to all kinds of things, but at the end of the day, I made choices. So there are two choices now: sit around and hand-wring or do something more. I’ve chosen to do more. The last time I wrote an entry like this it was for year 38. It was 9 years ago today to mark the passing of my 38 years, the year my father had passed away. I can’t believe this July will mark 10-years – almost 20% of my life – that he’s been gone. I miss that man and his influence more than I can say. I don’t know that I ever adequately made sure he knew what he meant to me. A significant regret, but I’ve come to find regret to be a powerful motivator to being a better person. My hope is that I’ve become a better person in that time, and that the people close to me know what they mean to me. That’s a regret I never want to have again. I very clearly have a lot to work on and a lot to look forward to in the coming year. And perhaps that’s the key: giving yourself the opportunity to be proficient while building additional capacity. In a sense then its good I’m headlong into middle age, in theory I’ve got some time to figure out that which I haven’t figured out and to learn what I don’t already know. Who knows where year 48 will take me, but I feel like I’ve given myself the opportunity to make something good and different from it. 48 is what’s called a “semi-perfect” number, a number equal to the sum of all or some of its proper divisors. In way, then, it’s fitting I find myself at this place in life. Not quite perfect, room for improvement, but not wholly imperfect either. Here’s to what 47 was and to what 48 will be.